Sonoko Nimura was a great Rolling Stones fan. She followed the Stones all over the world since the 90's, and she made friends and contacts with many, inside and outside the band. It is with sadness I hear she passed away at home in Osaka Japan on 23 November 2014. Feel free to post your own memories from touring with Sonoko Nimrua here. Please respect the privacy in this matter, please do only share what is appropriate to be shared in the public. Thank you. 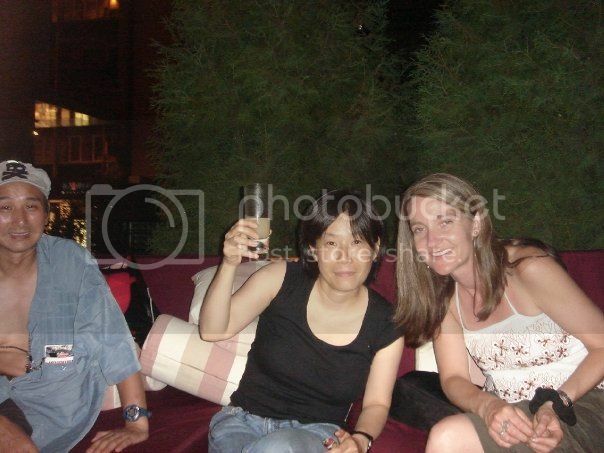 And thank you Sonoko for all the great years on tour. Miss You. Edited 1 time(s). Last edit at 2015-01-01 20:08 by bv. very sorry for the loss of your friend and stones superfan BV. Some of us well remember Sonoko too and shared many up-front spots with her at Stones and Stones-related shows. She was a regular fixture and was scarcely ever not to be seen. I was very saddened when I was told of her passing and am pleased that BV has made this sticky thread in memory of such a devoted fan. RIP, Sonoko. Oh No! Met this lovely lady in Madrid. My heartfelt condolences go out to her family and friends. She was so well liked by Stones fans all over the world. Think i met her at the Bercy concert. have a great,safe journey to the heavens. Rest in peace, Sonoko, you will be missed. I remember our o-jigis in Bondy. Last time I saw her was in Zurich. I feel sad and sorry. 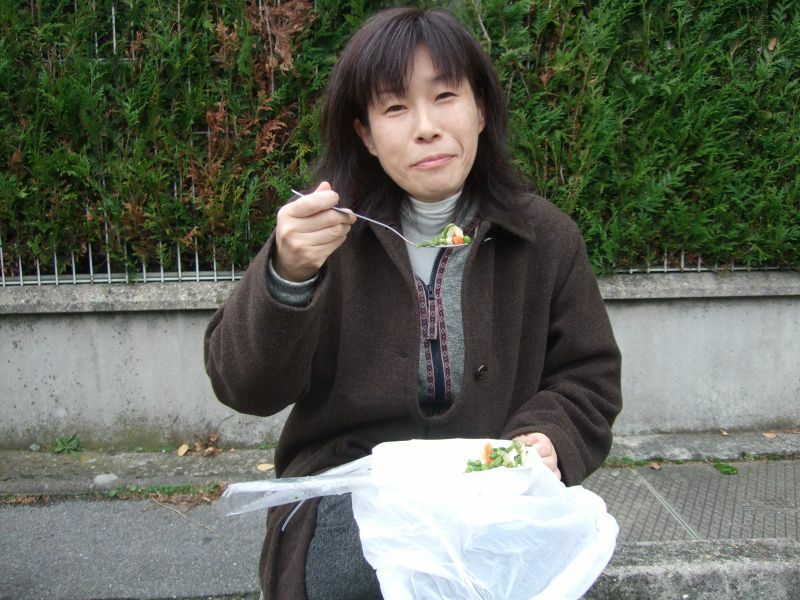 I first met Sonoko in Italy after a Stones show more than a decade ago. WE had our good times, and an an occasional spat as most friends do.I was so happy to see her in Adelaide, and the times we shared at rehearsals were great. She will be missed by many. Taylor/Wood shows in Ny. Rest in peace. I didn't ever meet this lady but I am moved by the beautiful tribute BV posted and I am glad she has this thread in her memory. RIP Sonoko. Very sad news, RIP Sonoko. I only got to meet her in Bondy in November 2012 but these are of course very intense memories...I remember being amazed that she'd flown in from Japan just to be there, little did I know of her being such a dedicated fan at the time. She used to stand slightly apart from the crowd seemingly taking in the music that seeped through. After the "Public Rehearsal" on November 8th when Mick thanked us for being there rain or shine and not understanding why we did it, there were some excited shouts and one of them was "See you in Japan" from Sonoko that Mick heard well and it made him smile...I remember discussing that with Sonoko outside and she was both happy and a bit embarrassed but we all had a good laugh. All the usual hanger-ons there just turned their head when she made that out-of-this-world scream of joy after noticing another uber-fan was on the site (it was a young Hungarian man with a cascade of golden hair). Edited 1 time(s). Last edit at 2015-01-01 23:34 by dcba. Always nice to meet her. First time really speaking with her was when Martin had met her after the show in rainy Bergen, Norway. She had nowhere to sleep. Martin knew that we still had plenty of room in the house we had rented. Next morning she was gone, but we did meet again several times. Also in Oslo and Berlin last summer. Im so sad to read about her passing. She will be sadly missed. RIP Sonoko. Sincere condolences to her family and her friends. Almost every Stones concert I went to during the past two decades I talked with her in Japanese. My more than 40 years relation with Japan had a lot to do with it. Although we shared the same passion (Stones) our conversations were mostly about our everyday lives. My wife and I last spoke to her in Stockholm on my birthday. From now on I will treasure that meeting as a precious birthday gift. Your still so young spirit will be with us, Sonoko. Sonoko was arguably Japan's No. 1 Stones fan, no mean feat given the ubiquity of super-terrific rock 'n' roll obsessives over there. After the Echoplex ticket debacle, when passes were handed out randomly instead of to the early arrivals, Sonoko calmly and methodically worked the crowd, and somehow managed to extract a ticket from one of the lucky folks. The Stones' last show, in Auckland, didn't feel quite right, with Sonoko's absence keenly felt. Oh no. This is so sad. My Dear Lady Anne and I will miss you so very much. Rest in peace dear Sonoko. Edited 1 time(s). Last edit at 2015-01-02 01:51 by DREAMTIME. So sad to learn about this sad news. Sonoko will be missed this year on tour with the Rolling Stones. RIP. I met Sonoko in Paris in 2006 when a group of us had a very long chat one evening in the band's hotel; and then later on that tour in Copenhagen, Bergen and some other places I now forget. A few words in Europe in 2014 - too few it seems now. Very sad news - like BV she was a true platinum-plated fan - absolute dedication and a superb lady. A very personal, appropriate, obituary by BV - thank you for caring and posting.